The following reviews ran in Absolute Magnitude issues #14 (Summer 2000) and #15 (Spring 2001), and currently exist only in print format. What follows is a very brief roundup to serve until they can be retyped. 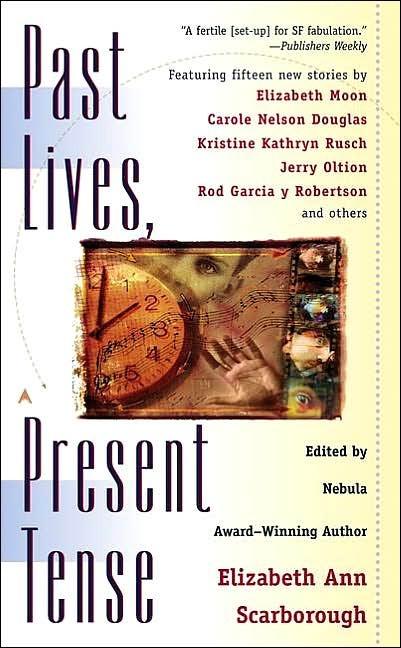 Past Lives, Present Tense, edited by Elizabeth Ann Scarborough (Ace, 2001) – Fifteen stories which revolve around the concept of downloading the personalities, thoughts, memories and feelings of the deceased into the living. Normally, I’d expect to gloss over two or three stories in an anthology of this size, just going by averages of quality and subject matter. Here, I didn’t skip a one. They range in tone, from introspective to humorous to deadly serious, but they all rate high on the quality scale. 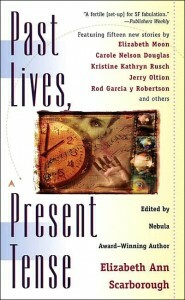 Hughly recommended. Valor’s Choice, by Tanya Huff (DAW , 2000) – First in the military SF series featuring Staff Sergeant Torin Kerr, with plot elements inspired by the Battle of Rorke’s Drift. An attention-grabbing blend of space opera and military science fiction, with crisp, engaging writing and memorable characters, it delivers a satisfying story, though lacks a certain oomph when considered as a whole. 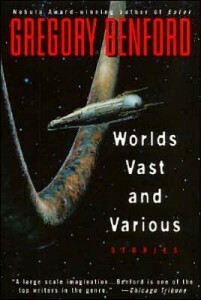 Worlds Vast and Various, by Gregory Benford (Avon/Eos, 2000) – The third collection of Benford’s short fiction, covering several decades. Intelligent, provocative science fiction, heavy on the science and sophistication, it’s a fine introduction to Benford for the uninitiated and a satisfying treat for those who are already fans. 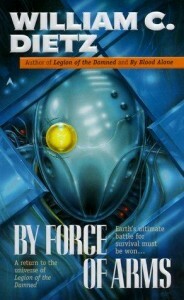 By Force of Arms, by William C. Dietz (Ace, 2000) – 4th in Dietz’s Legion of the Damned military SF series. Though it fails as a suitable entry point for new readers, it’s nonetheless keenly-plotted and energetic, maintaining a sense of urgency until the very end. 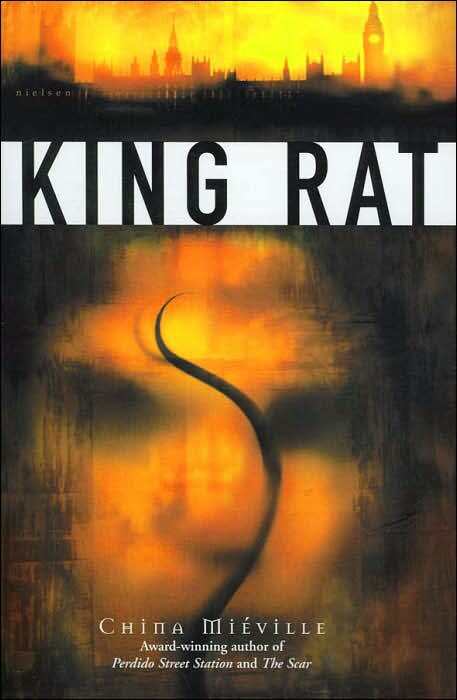 King Rat, by China Mieville (Tor, 2000) – Debut novel from Mieville, in which a young man learns of his heritage as a prince of the ratfolk and heir to King Rat’s throne. 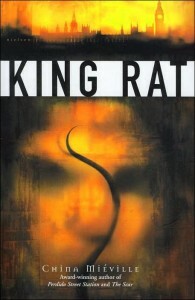 Urban fantasy set in London. It’s a frantic, kinetic, paranoid Hong Kong exploration of our darker corners, evocative of the gritty, hard-edged end of the century feel that’s risen of late. The Stainless Steel Rat Joins the Circus, by Harry Harrison (Tor, 1999) – 10th adventure of the notorious Stainless Steel Rata, AKA Slippery Jim DiGriz, con man and thief turned reluctant spy/secret agent. 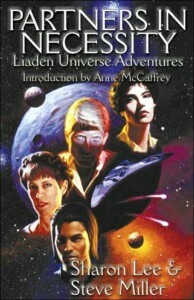 Good as far as humorous SF goes, but a letdown compared to the brilliance of earlier entries in the series. 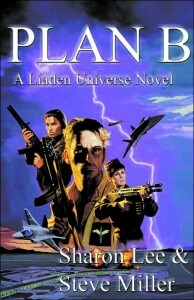 Partners in Necessity and Plan B, by Sharon Lee and Steve Miller (Meisha Merlin, 2000 and 1999) – Covering the first four books in the Liaden series (Conflict of Honors, Agent of Change, Carpe Diem and Plan B. 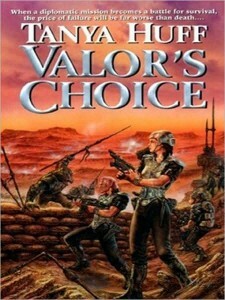 Space opera meets romantic science fiction/fantasy, with plenty of intrigue, conflict, adventure, and beautiful language. 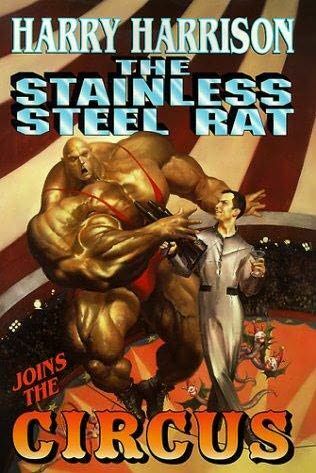 Published by Meisha Merlin, then reissued by Ace, then picked up by Baen. 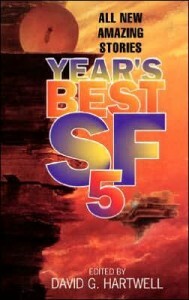 One of my favorite SF series.